Healthy eating is a lifelong commitment and if you are setting new goals for 2019 and want to get rid of the effects of Christmas/ New Year excess eating, QUT dietitian Dr Helen Vidgen has some indispensable tips. “Summer in Australia means great access to local fresh food and we should make the most of it to support our farmers, the environment and especially our own health as well as cut waste and food miles,” Dr Vidgen, from QUT’s School of Exercise Science and Nutrition, says. Get back to wholegrains including seeds and nuts. Flush your body with water. Make it your drink of choice. Limit soft drink, ice teas, sports drinks and juices. Challenge yourself to eat two and a half cups of vegetables a day. Include legumes a couple of times a week. Have oily fish once a week. Limit processed meats and keep an eye on your portions of lean meat (a piece the size of the palm of your hand is great). 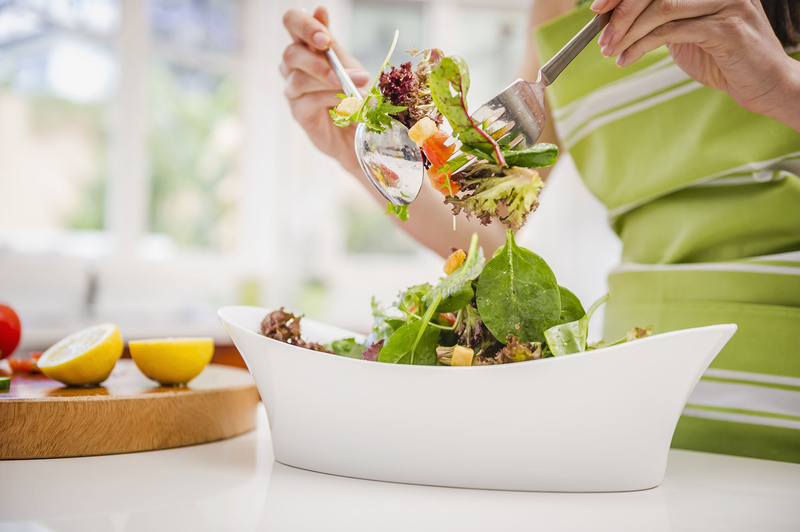 Add more plant foods – salads are the way to go either as a side or as a meal in themselves. Be creative and try new things: green beans and slivered almonds; roasted pumpkin and gremolata; rocket with pomegranate and feta. When filling your plate make sure it has at least two thirds plant and one third animal foods. Eat what’s in season – it's fresher and better for you. Repurpose leftovers: mashed potato can be made into gnocchi; roast pork into pulled pork for picnic sandwiches; thinly sliced leftover barbecued steak for Thai salad. (Always refrigerate leftovers promptly). “Make a commitment to make 2019 the year of eating healthily,” Dr Vidgen said. “Spend your money on fresh food, not supplements or powders, because the nutrients will be in a better form to be used by your body."